Ian Everest’s interest in the history of Sussex farming dates back to his childhood, which was spent living on a 1,000 acre downland farm on which his father worked. In his teenage years, Ian worked on farms in the Ouse Valley before attended Plumpton Agricultural College. After further practical farm activity, he worked at a farm animal-disease research centre before entering into farming-related commercial activity. His talk looks at life on Manor Farm, Bishopstone, during the 1950’s and is based on a cine film made by farmer John Willett. 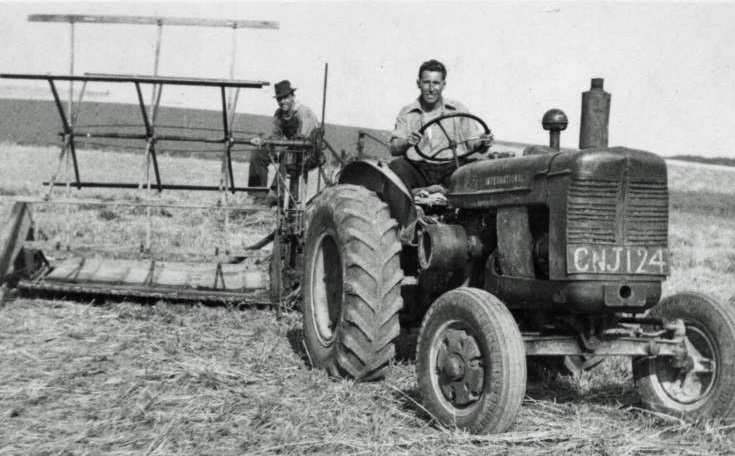 After attending the Royal Agricultural College at Cirencester, John was keen to start modernising the farm by adopting new techniques and acquiring modern machinery. His father was reluctant to change with the times, and the film gives an interesting insight into the demise of the old ways of farming and the gradual change to modern labour saving machinery. More than thirty men were employed on the farm at harvest time – and twenty throughout the year. It was a tough life with little financial reward for the workers, but the men were highly skilled in many aspects of their work. Skills not learnt at school or college, but passed down to them by their forbears.